At our office, we take pleasure and pride in providing our patients, both children and adults, with the highest standard of personalized dental care with a gentle, efficient, and professional manner. Our team members strive to ensure that each of our patients has the best possible experience, from the time they enter our waiting room until the completion of their visit. In addition to expert care, we emphasize compassionate care. We have a patient-centered approach that helps alleviate anxiety and ensures patient comfort. Providing personal attention enables us to take care of people in our community. To say we are satisfied with the care we receive under Dr. Temple is a gross understatement. We moved to Lexington 2 years ago and for us it was a no-brainer that we would continue to see Dr. Temple for all our dental needs. We love her and all her staff. Going to the dentist is something we look forward to! I have been a patient of Dr. Temple for many years. In my lifetime I have had several dentists. I have never met anyone that was even close to providing the caring approach that Dr. Amy has with her patients. Each one of her staff members has adopted this as well. Smiles, concerns, questions about your family, and a wonderful experience is what you always get. Dr. Temple ALWAYS takes enough time with each visit. Painless dentistry at its finest. After just a few visits, you are now (one of the family.) I am very grateful that I found my Dr. Temple. I tell everyone that talks about looking for a new dentist to call her office. Dr Amy Temple and her whole staff are the best of the best!! We have been so blessed to have had Dr. Temple overseeing our oral care for the past 13 years and so appreciate how she takes the time to look at us as a whole person and not just a dental patient. Each member of this practice has a passion for what they do and it shines through with the care they provide. This office has a standard of excellence and they continue to achieve that each and every time we come to visit! Our whole family loves Dr. Amy Temple’s office! From the time we step into the waiting area, to getting our teeth clean, to seeing Dr. Temple, we feel like they are glad to see us and care about our family. When we adopted our daughter and she joined our family at 4, we were very nervous about getting her dental needs taken care of, and having had a challenging experience with another dentist with our son when he had cavities filled… we knew we needed a change. That is when we found Dr. Temple and made the switch. Dr. Temple and her staff have always been patient and gentle with my children, and attentive to their needs. As a mom, they have never made me feel in the way or not welcome at my kids' appointments. Everyone one of us actually like to go to the dentist...we could not have said that before we started coming to Dr. Temple’s office 7 years ago. Thank you guys for all you do- it makes a huge difference to our family. Each member of our staff is dedicated to providing you with comfortable and caring treatment. Our priority is to make your experience in our office a positive one. From routine cleanings and exams to more complex cases, we welcome the opportunity to care for you and your family. 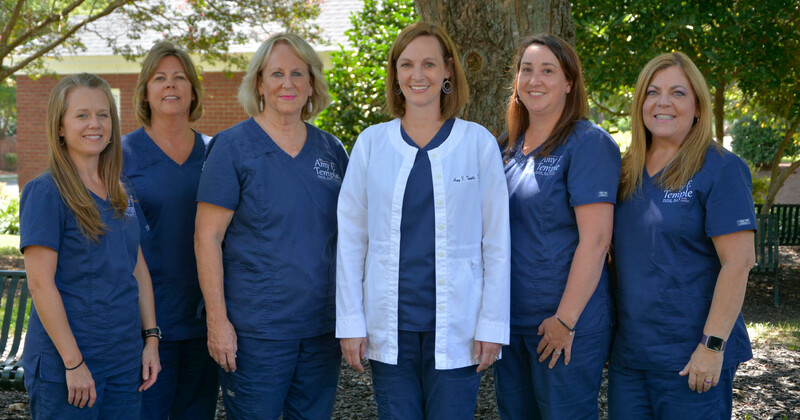 We are a general dental practice that has been providing dental services to the Kernersville community and surrounding areas since 2003. Our practice employs the newest technology in treatment, sterilization and secure digital records. The use of low exposure digital radiology provides for state of the art diagnosis and safety. Dr. Temple was born and raised in the Triad and loves calling North Carolina home! Her professional career started at North Carolina State University with an undergraduate degree in Zoology and a minor in Genetics. In 2001, she earned her Doctor of Dental Surgery degree from the University of North Carolina at Chapel-Hill School of Dentistry. 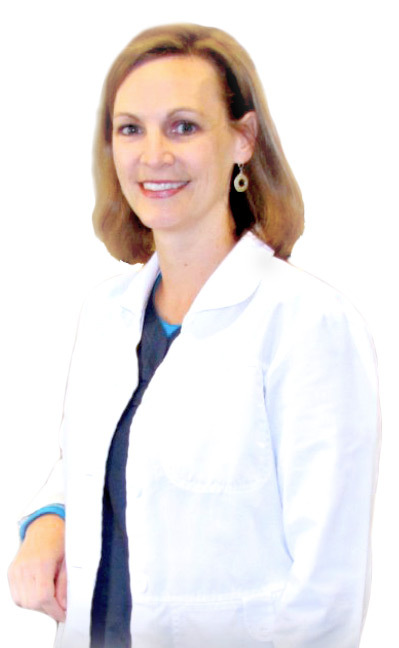 Dr. Temple began her career in Winston-Salem prior to purchasing her dental practice in Kernersville in 2003. She is committed to providing the best dental care possible for her patients and continues her pursuit of life-long learning. Dr. Temple enjoys giving back to the community by volunteering her time with the NC Baptist Men’s Dental Bus, The Shepherd’s Center, Community Care Clinic and Give a Kid a Smile. She has been a member of several medical/dental mission trips abroad, including Haiti and Peru. When not creating beautiful smiles, Dr. Temple is an active member of her church and enjoys time with her husband and two children. Her hobbies include cooking, reading, bike riding and hiking.